To commemorate the victory of India in the Indo-Pak war in 1971 Jindal Steel and Power Limited (JSPL), Angul, celebrated the 45th ‘Vijay Diwas’ with a Voluntary Blood donation and Mini Marathon at Angul. The Blood Donation Camp was organised at Jamunda Jungle Phase -2 Project office in association with District Red Cross Blood Bank. 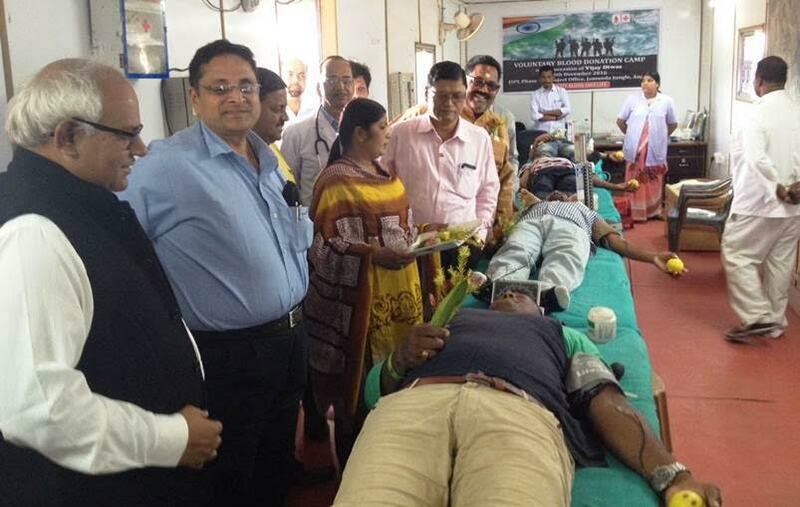 Additional District Magistrate of Angul Mr Srinibas Behera graced the occasion as Chief Guest and inaugurated the Blood donation camp. Mr Damodar Mittal, EVP JSPL , Mr. S.K.Sharma, AVP , Mr Sujit Pradhan, AVP, Mr Ashish Pandey, GM, Mr Ajay Singh, GM, Mr Sunit Purohit, GM, Mrs Puspalata Satapathy, DGM and other Village committee members, villagers & Highest Blood donor of the District Mr Subodh Mishra were also present on this occasion. Total 87 Units of blood were collected in this camp. In morning at 7 am, a Mini-Marathon at the JSPL Township was flagged off by the Executive Director and Location Head of JSPL Angul Mr. Dinesh Kumar Saraogi at the Sports Arena of the township in presence of Mr. Damodar Mittal; Brig K.K.Chopra;Mr A.N Tiwari, Mr. T.K.Sahi, Col. Ranadhir Singh, Capt. Ajit Singh,Swami Satyabindu Saraswati and other senior officials. 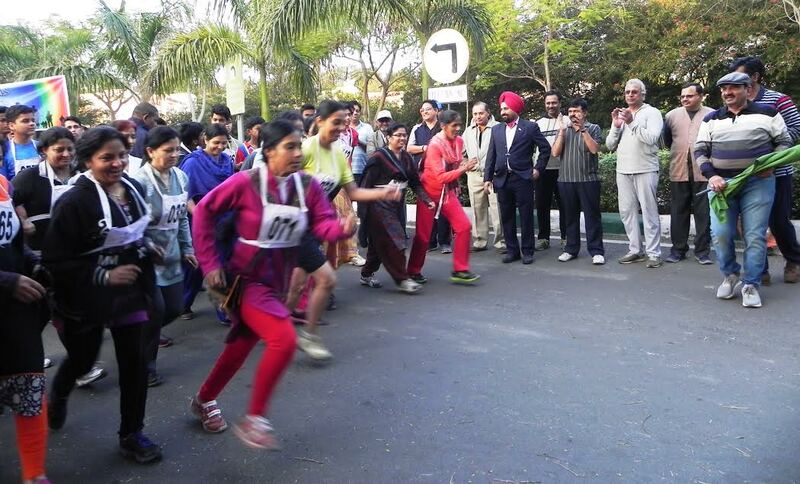 More than 500 people, including Employees of JSPL, their family members, security personnel, School children along with members of Jindal Mahila Samiti participated in this Six km run to remember the heroic act of Indian Army in the war. Greeting all on behalf of the company, Mr. D.K. Saraogi said, “We as Indians should feel proud for our soldiers who sacrificed their lives for the motherland and for the greater cause of humanity. Organizing such kind of marathon is not only a celebration of victory but also salute to the brave souls who fought for it”. 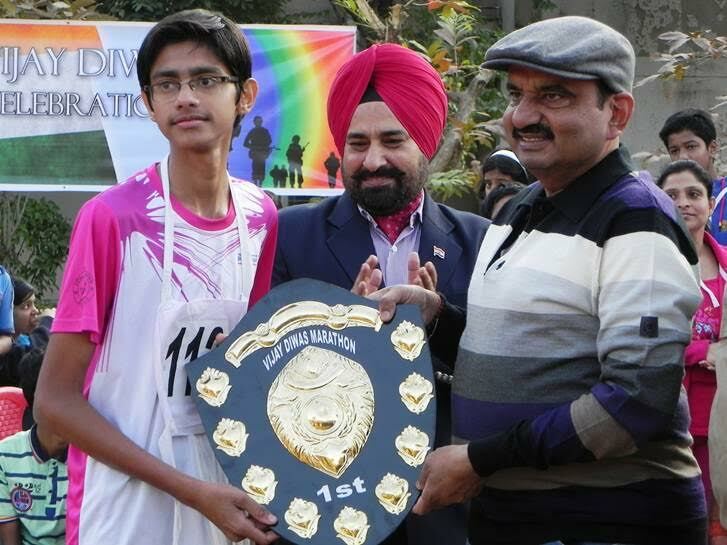 Winners of the marathon were awarded with certificate and trophies by Mr Saraogi.